7330 North Rainbow Boulevard in Las Vegas, Nevada is represented by real estate agent Michael Cohen of The Brodkin Realty Group at Realty ONE Group. 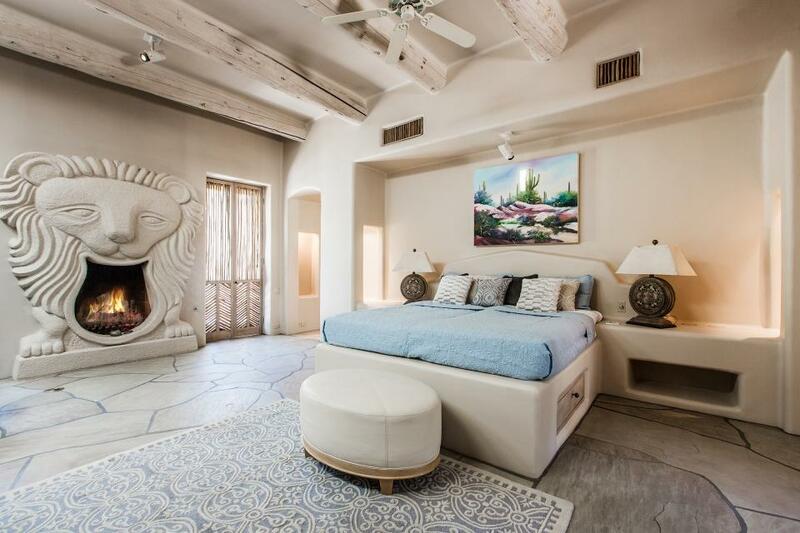 Built in a Bill Tull Custom design Santa Fe style, both horse lovers and those with a need for space will adore this property. There’s plenty of room for horses to roam in an Olympic size covered arena, 15 stall stable, bull pen, five pastures, three large work shops and hot walker. Host lots of guests in two guest homes and two caretaker homes. Relax in the pool, spa and sauna with friends and family after hitting the private gym and tennis courts. It’s basically your own private resort! There’s some flexibility in what you choose to buy! The five additional developer parcels and the 12.2 acre ft. of Water Rights can be purchased with the main listing or may be purchased in part or in conjunction with or after the closing of the main listing. Recent survey and water testing completed. The home furnishings are also for sale but under separate agreement and are not included in sale price. For more about 7330 North Rainbow Boulevard and Michael Cohen, please visit 7330NRainbowBlvd.com.